and enjoy a future web service today. 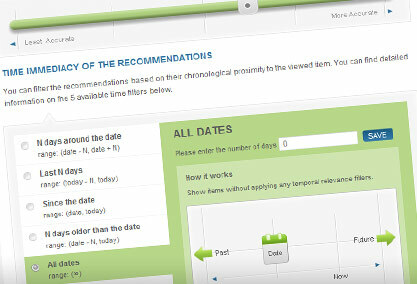 Start showing real-time recommendations in minutes. Create an account and upload your initial data. The XML structure is shown here. The format of your data will be validated automatically upon the completion of the upload. Once you have uploaded your data, you can configure your service. You have full control over many service variables ranging from the number of displayed recommendations to the style of the widget serving them. Place the Recmnd widget at your website pages to start serving real-time recommendations to your users immediately. 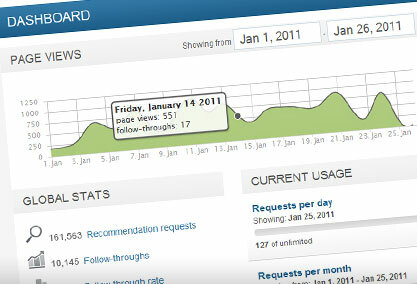 As soon as we started using the Recmnd service our daily page views increased by more than 10%. 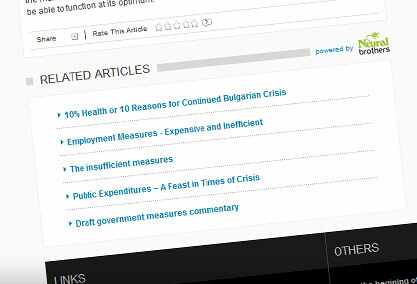 Now it is much easier for our readers to find publications on each topic without any extra effort. The quality of the recommended related articles is surprisingly good and this allows for a broader review of any given subject and saves a lot of time.